Welcome to Gala Futons and Furniture store! Gala futons and furniture dealer is a Discount Furniture store in Virginia sells high quality modern, contemporary furniture, futons and a large selection of platform, bunk, loft and storage beds at competitive prices Located in Arlington Virginia near Washington DC. Serving Virginia, Washington DC area, Maryland locally and we provide to our patrons the furniture industry’s best customer service. Many furniture brand names are available to order through gala futons and furniture such as coaster company furniture, Homelegance furniture, Atlantic furniture, VIG furniture, J and M furniture, Younger furniture, and many more.Please visit our Furniture dealers stores showroom in Arlington Virginia on the border of Washington DC are at 2622 North Pershing Drive, Arlington Virginia 22201. Our staff is knowledgeable and is dedicated to making your experience a memorable one. We will try our best to resolve your furnishing needs with our wide selection of contemporary and modern Futons, younger furniture, platform beds, bunk beds, loft and storage beds. However our on-line furniture catalog is just a small sample of the thousands of furniture styles we provide in our in stores futon & contemporary furniture catalogs. If you do not find the modern furniture style, Futon style or the futon and/or furniture item you are searching for, please feel free to contact us and we will be glad to respond to your inquiry as soon as possible. Many furniture factories brand names are carried by gala furniture such as coaster furniture, Younger furniture, Homelegance furniture, Atlantic furniture, Night and Day furniture, and many more. All orders except floor model items could be picked up in the store in Arlington Virginia, shipped out of state, or delivered locally to Washington dc metropolitan area, NE Washington DC are, NW Washington DC area, SE Washington DC are, SW Washington DC are, and the trip is considered a flat rate delivery also to will apply to Arlington VA, Fairfax VA, Falls Church VA, Annandale VA, Haymarker VA, Gainesville VA, Manassas VA, Ashburn VA, Prince William county VA, Alexandria VA, Vienna, McLean, Alexandria Virginia, Also in Maryland around Rockville MD, silver spring MD, Laurel Maryland, Bethesda MD, and all counties within 20 miles from our Arlington VA Store. Our discounted delivery charge will be based on the distance as well as the invoice’s size, please call us for any additional information. Floor model items are available for pick up or local delivery only. Please see our Futons and Furniture SALE section for sale prices lower than our already daily discounted prices. We appreciate you stopping by- Thank you for being our customer! 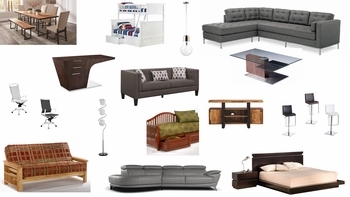 Gala futons and furniture your modern & contemporary furniture store in Virginia.